We have already open sourced part of the PDASH and Chain in the last week and received some positive feedback. However, the tweet last week was only a link for Github and was not that easy to understand. In this post, we will discuss more details about PDASH and its functionality. 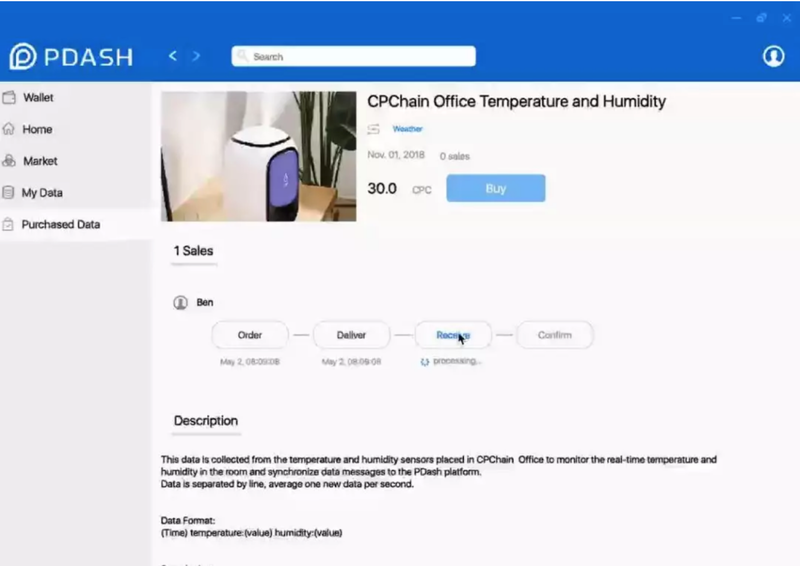 As the core application of CPChain, PDASH has been aiming at the pain points of the trust building procedure and data interoperability in the Internet of Things (IoT) industry since its inception. 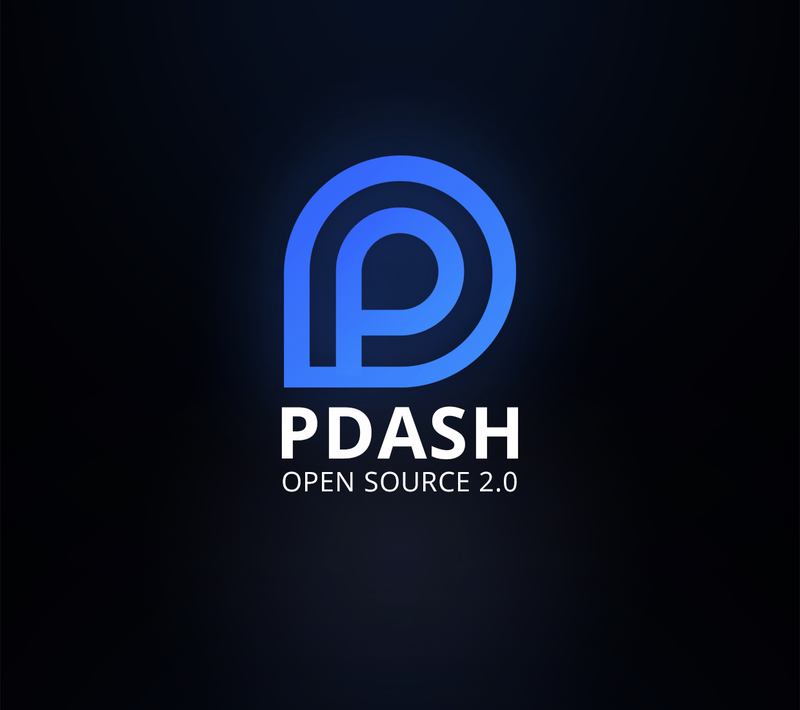 PDASH is the abbreviation for Parallel Distributed Architecture of Data Sharing and Storage. It provides a fair, transparent and efficient data sharing platform to eliminate the information gap between data providers and consumers around data transaction scenarios. In PDash, data can be effectively protected. Data providers have full ownership of their data and the freedom to control and process data; data consumers can purchase authentic and reliable data for industry research and product development, thereby maximizing the value of data. 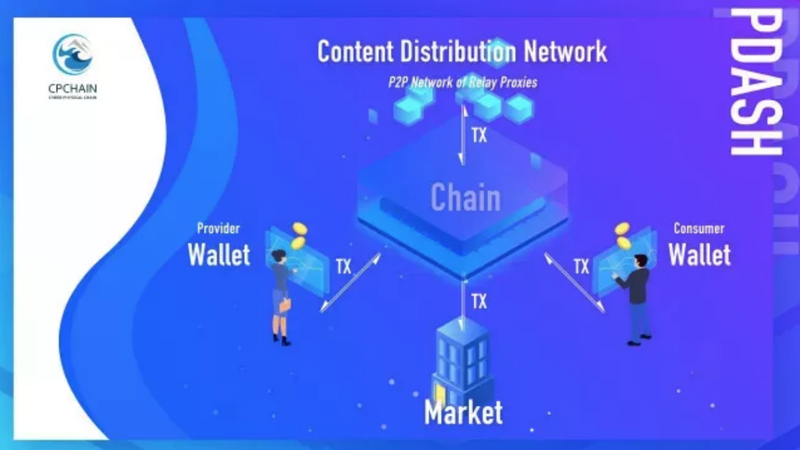 Distributed Proxy Network, an agent network to protect data security and privacy and connect all data sharing participants. It is a beautiful early morning, and a new day begins. After washing up and a simple breakfast, you are energetic and leave your home and drive to work. At the same time, the personal data recorded by the IOT device terminal — including your sleeping data, time of leaving home, and driving data — after edge calculations, are continuously uploaded to the PDASH platform and encrypted. After a day’s work, you go home, open the PDASH client, hang your stored data online and price it at 100 CPC. In a short while, the buyer initiates a data transaction request, and you package the data to the other party with one click. After one minute, the proceeds are received. Data owners no longer need to worry about big companies stealing private data unscrupulously. Our data is no longer subject to tampering and theft by being recorded onto blockchain, and enterprise level data buyers no longer need to be worried about how to get sufficient real, accurate and high value data. With PDASH, data flows and transactions become more efficient and secure. Having said that, how do we use PDASH? In the video, there are two perspectives of data buyers and sellers. Both buyers and sellers need to create a PDASH account first. It should be noted that the password is very important when the account is created. Users need to pay attention to backup and set a high security password. After creating an account, each user has a wallet. The main functions of the wallet include balance inquiry, token withdrawal, token recharge, and historical transaction record inquiry. After the data seller logs in to PDASH, he can upload and publish the file in the market, waiting for the buyer to purchase. The buyer needs to search for the desired data (file) using a keyword search, and then click on the “purchase” button on the file details page. After the one-click purchase of the data, the buyer confirms the payment price and enters the transaction password. Then the only thing he needs to do is wait for the file to be automatically downloaded. After the file is downloaded, the transaction process ends. Above is a typical transaction flow on the PDASH platform.